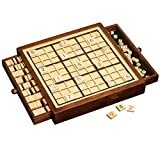 The name Sudoku means solitary number and originates from Japan. The game was originally created in puzzle books and then made available in countless newspapers worldwide. Today, it's one of the most popular puzzle games of all time. Some people attribute the game to a Swiss mathematician, Leonhard Euler in the late 1700s. The 4 lines that create the 3x3 blocks were added later. A similar puzzle called Number Place was published in America in the late 1970's while in 1984 a Tokyo publisher saw the Number Place puzzle started to produce a Sudoku magazine. 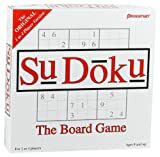 In the past 10 years, Sudoku has become one of the most popular online puzzle games, played by millions of people all over the globe. It is logical where people use deductive reasoning. So, the game is also good for brain training. Sudoku is a global game: only numbers are needed so knowing another language is not needed. (unlike games like scrabble or crossword puzzles). The game is fun and relaxing. On Internet, Sudoku tournaments are being hold. The first World Championship Sudoku Tournament was held in Lucca, Italy in March of 2006. The first World Champion came from the Czech Republic, 2nd and 3rd place went to US citizens (a Harvard University graduate student and a software engineer from Google). The finalists had to compete by solving 45 puzzles over two days.